My first camera is Canon! Yeayyyy!!! 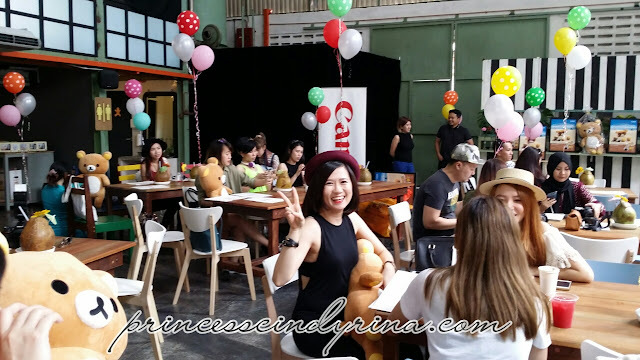 Then when I was invited for Canon EOSM10 X RILAKKUMA launching event, I was like...hurayyyyy!!! Why? Goshhhh!!! 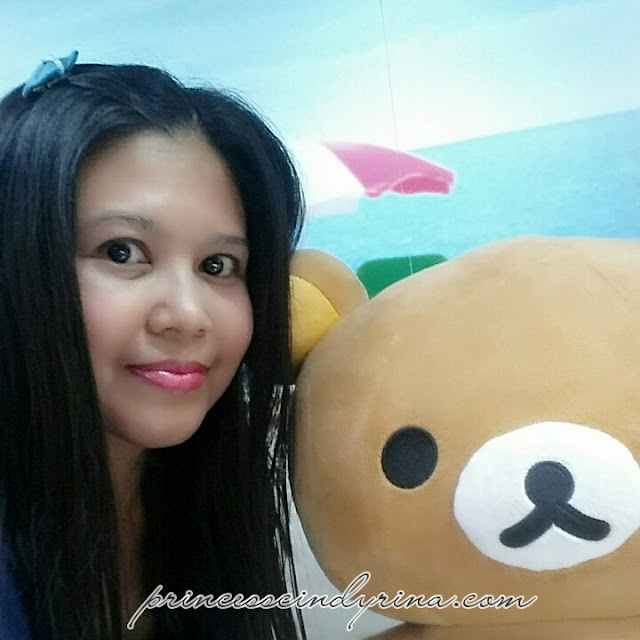 Rilakkuma is a teddy bear and whoever been reading my blog will know I am a teddy bear lover. WTH! Canon EOSM10 X Rilakkuma is a special limited edition box set , bundled up with a limited edition 24cm Rilakkuma plush toy. What's so special about Canon EOSM10? * Super duper convenient self portrait mode features with only one-touch beautification shortcut that offers a skin smoothing effect. 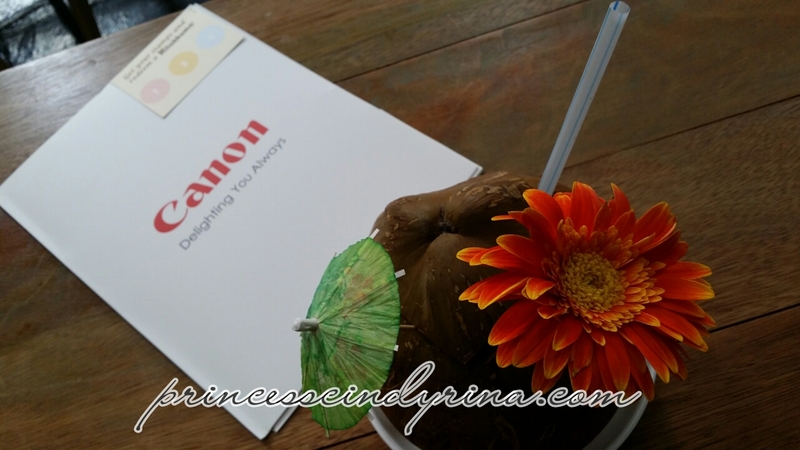 Price Canon EOSM10 starts at RM1,999. You can get this camera for FREE? 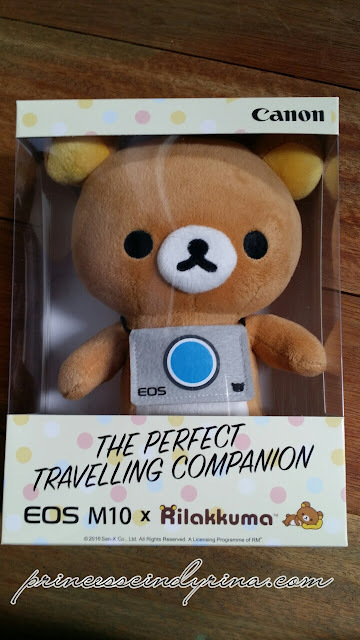 Read below to know how you can get Canon EOSM10 X Rilakkuma FREE. Yup! you read it right. You can get one for FREE not just camera but the cute teddy bear too. I was there early for the event. Super duper love the chilling and relaxing setting. Rilakkuma was on every table. Super jealous ? 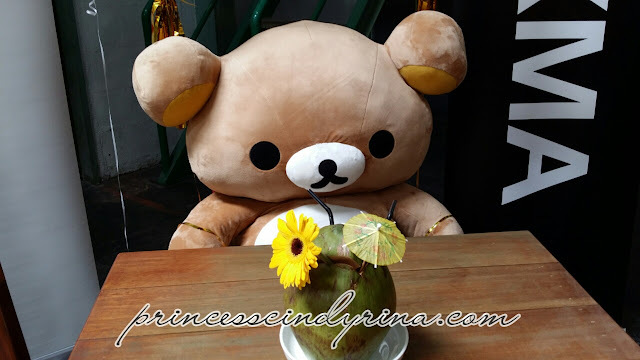 This is the biggest Rilakkuma chilling at the corner before it get bullied by bloggers. WTH! Hehehehe...I was the first blogger who bullied this fella though since I was early. ngeeeeee..
Angie react to my random camera pointing on that day. Cheerful gal! For those who don't know anything about Rilakkuma. Haihhhhh...shook head. 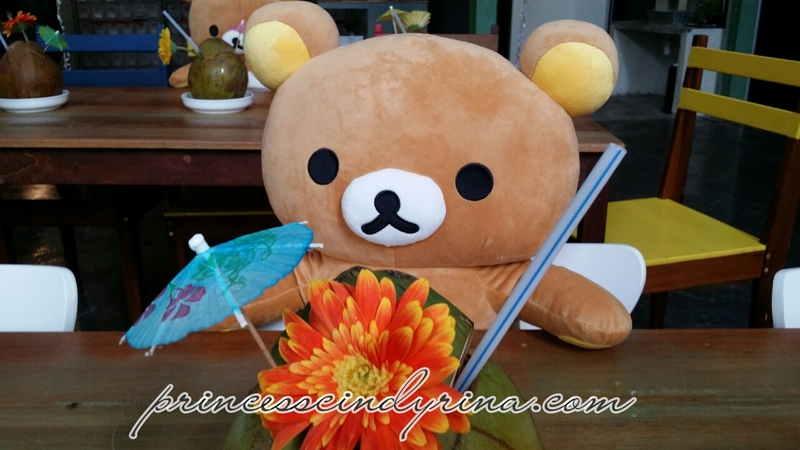 Rilakkuma is a ToyTravel teddy bear which means 'Relax Bear' in Japanese. Well before this was a hit. I already travel with my beloved Min Zhi which is an adorable teddy bear which conquered the Great Wall of China with me many years ago and also been there done that with me exploring Prambanan Temple and Borobodur of Jogyakarta. Min Zhi is a gift from my friend , Dom who is now still working in Beijing,China. 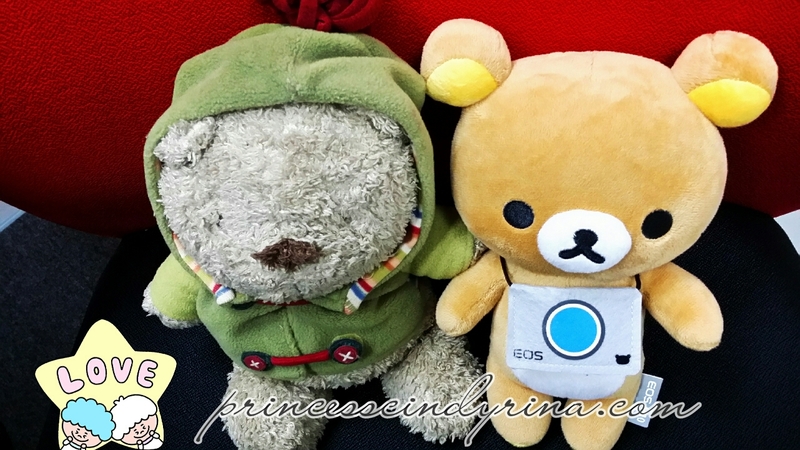 Just the two of us become just the three of us with new addition of rilakkuma species to my traveling companion. I wi11 call this rilakkuma Joong Ki. kakakakaka don't mad at me Song Joong Ki fan. This is just a name! 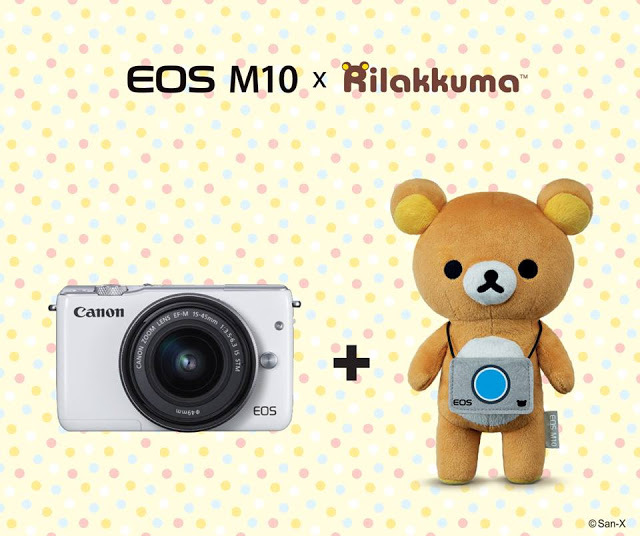 You wanna get Canon EOSM10 X Rilakkuma for FREE? There will be 3 themes for this contest and you will have one month to capture the perfect ToyTravel photo for each theme. The first theme was announced on 6th June 2016 and the first winner will be revealed on every end of month. ouch so fun ! kan. wish to go there again and tangkap ambar banyak2 dengan rilakkuma ! Oh wow! sounds interested.. Feeling like i want to join. Looks like everyone had fun! Rilakkuma is so cute laa!! Aww... the Rilakuma really so cute and wanna have it in my fluffy collection. Really fun and enjoyable event there. I really want to join this contest because I have travelled with a toy for a long time. So I thought, I'd just give it a try. Haven't submitted my photo yet, though! All the best to all who are joining. Love Rillakuma alot!! Sad that i wasn't there to hug the giant bear! Wish I could attend. But I have a trip at Fraser Hill.. Thanks for sharing the awesome event! the teddy bear is so cute ! Rilakkuma is so cute and Canon is one of the best brands. I own mirrorless from another rgreat brand. RILAKKUMA is so cute. i love the contest idea la. it would be great if i could win some prizes too! Adorable events specially for the Rilakkuma lovers! Great to meet you at this fun event on that day. I love Rilakkuma.